On Saturday night a friend of mine and I went out to shoot some photos. 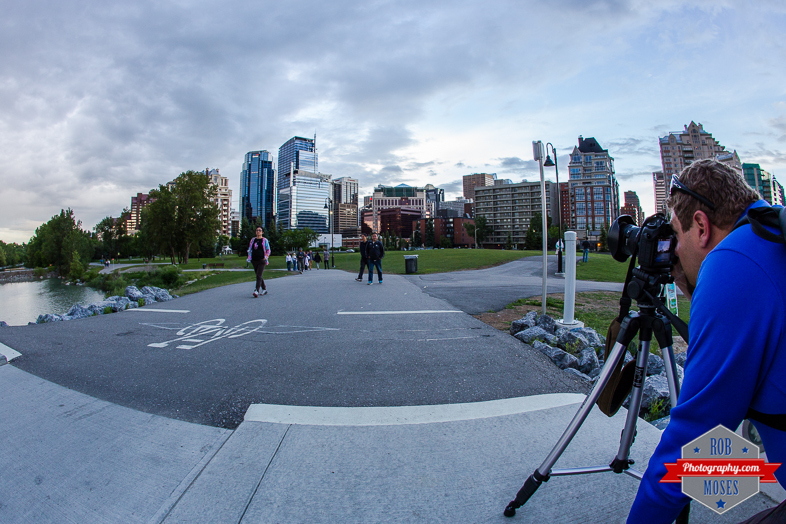 It started ranging like crazy so we had to try to keep shooting under overpasses and covered areas, thankfully there are loads of these to choose from in Calgary. It eventually stopped raining, which allowed me to get the first shot. As you can see I decided to hop in one of the photos ;). 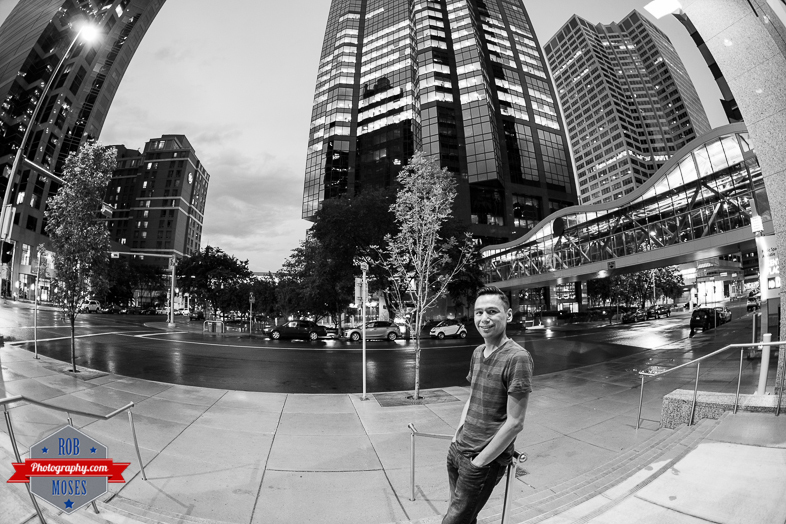 This entry was posted in Cities, People, Self Portraits and tagged 15mm, 6D, Alberta, Black & White, building, buildings, Calgary, Canada, Canon, city, City Life, fisheye, metro, overpass, photo, Photographer, Photography, plus 15, prime, self portrait, selfie, sky, skyscrapers, street, Urban, yyc. Bookmark the permalink. 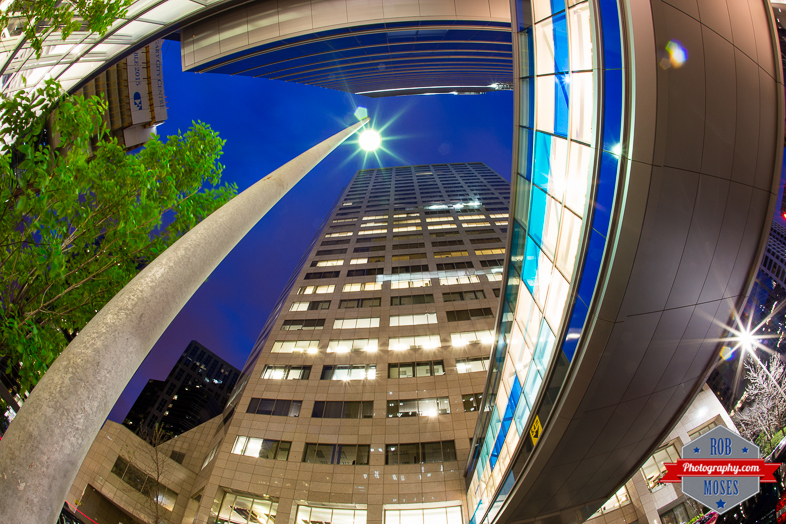 Seeing these shots reminds me of my old 10-22 lens that I miss so much. Need a new one for the 5D now. Love these pictures. Ya you should pick up a good wide angle. I really like the 17-40L, I’m sure you’d enjoy that one. Amazing shots as always ~ do me a favor, will you tweet my posts sometimes, if you like them? Cheers! Thank you and will do ;).